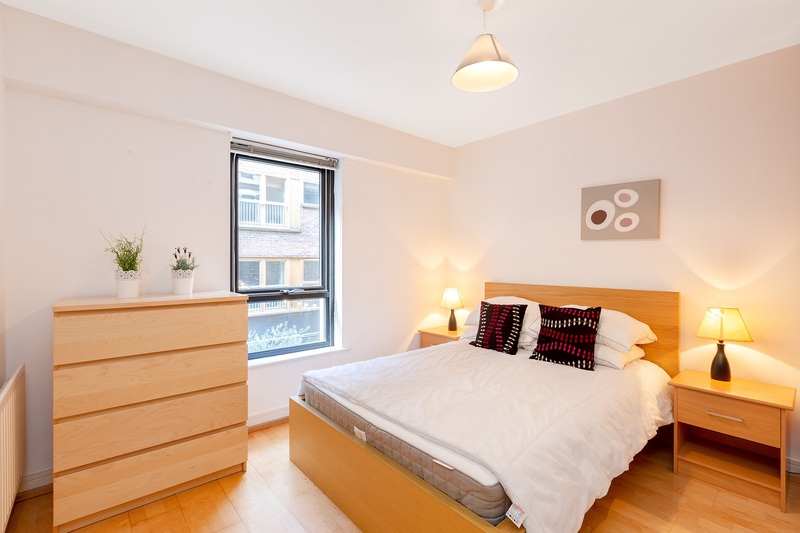 Home / 3 Saul’s Court, Cows Lane, Temple Bar, Dublin 2. 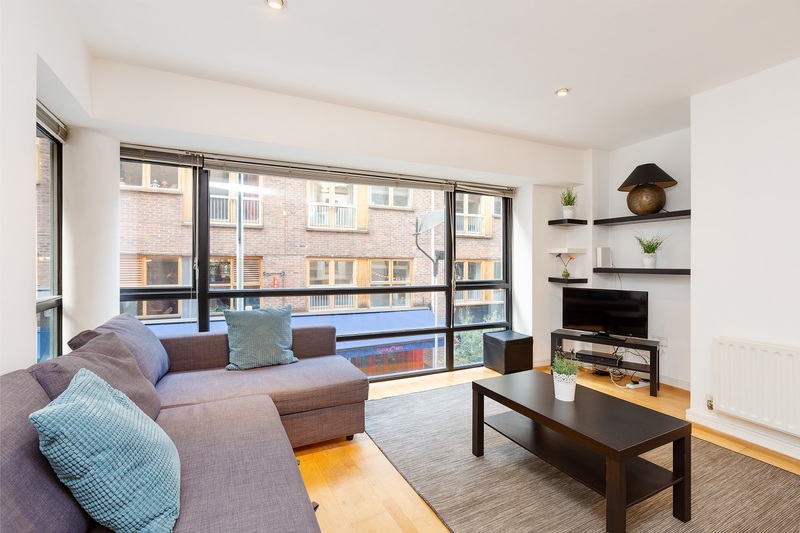 3 Saul’s Court, Cows Lane, Temple Bar, Dublin 2. Owen Reilly 3 Saul’s Court, Cows Lane, Temple Bar, Dublin 2. 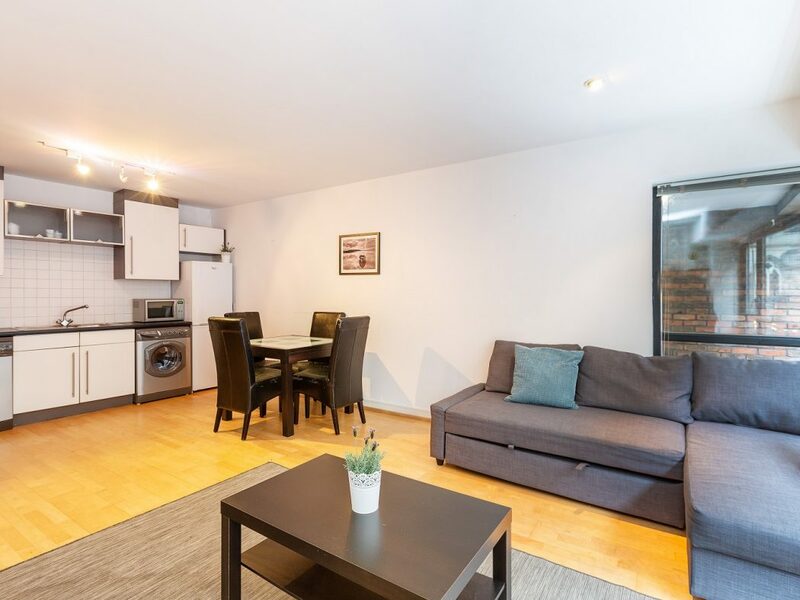 Owen Reilly present this contemporary one bedroom apartment centrally situated at the hip end of Temple Bar just off Dame Street beside Dublin Castle. 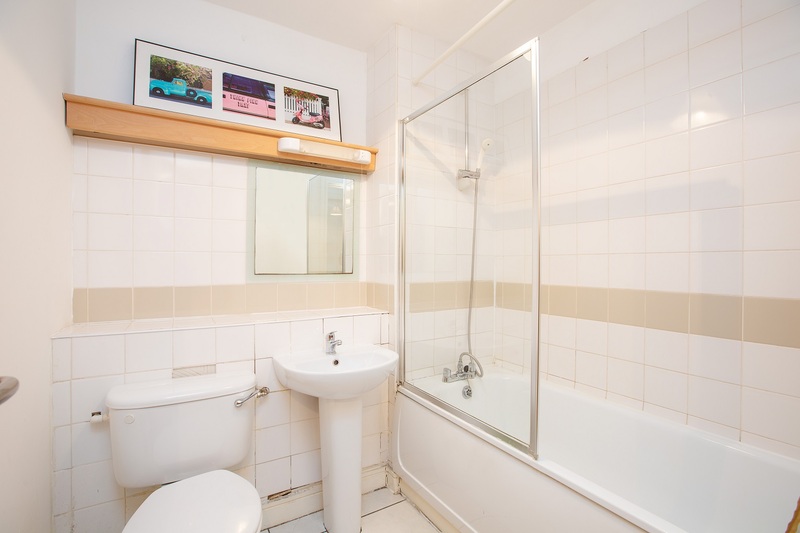 This property is in excellent condition throughout and benefits from a floor to ceiling bay window which provides ample natural light. 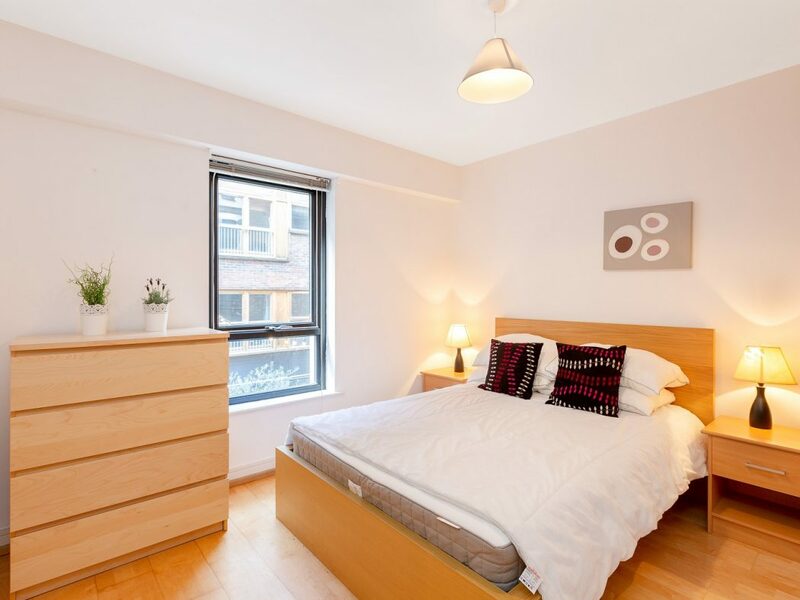 Situated on the first floor, number 3 benefits from well proportioned accommodation comprising entrance hallway, spacious open plan living/dining/kitchen, double bedroom with built-in wardrobes and a bathroom. 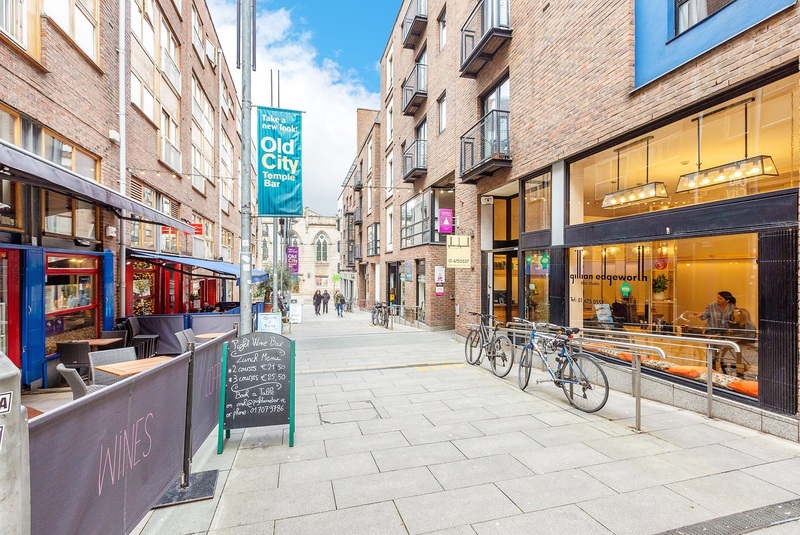 Cows Lane is an attractive, pedestrianised walkway in the heart of Dublin city. 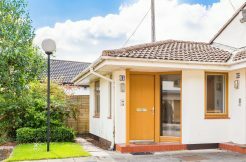 The property is sure to appeal to owner occupiers and investors alike due to its turn-key condition and superb location. 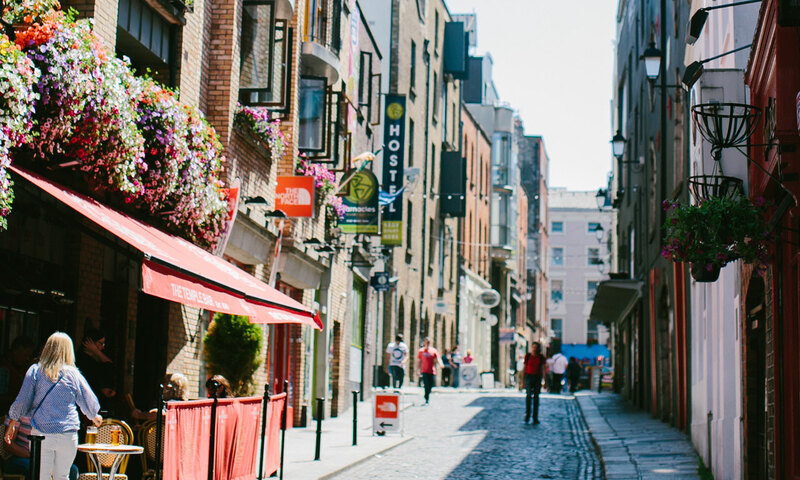 Temple Bar is one of Dublin’s prime entertainment districts where you will find an array of bars, cafés, restaurants and shops along with a host of cultural landmarks with art galleries, theatres and Dublin Castle all surrounding the property. 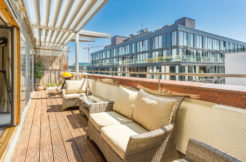 St. Stephen’s Green, Grafton Street, O’Connell Street and Henry Street are all within short walking distance and also nearby are Trinity College Dublin, Royal College of Surgeons Ireland and Heuston Station. 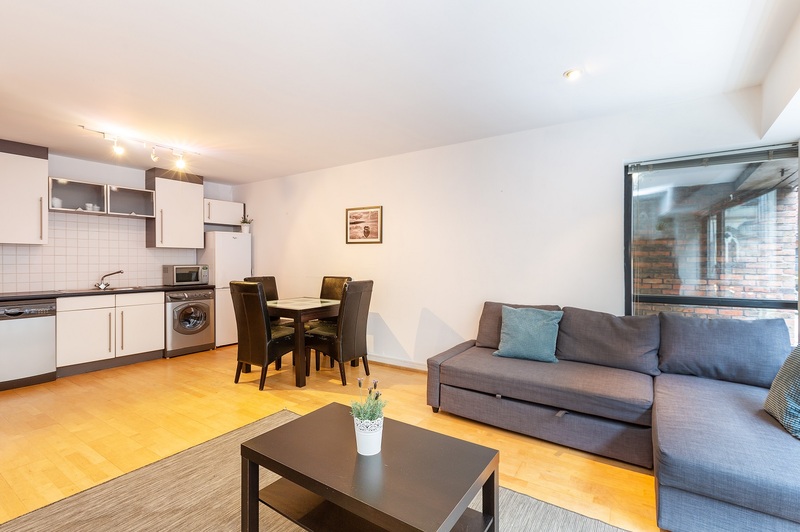 The area is well serviced by regular bus routes and the LUAS is also within a few minutes walk. 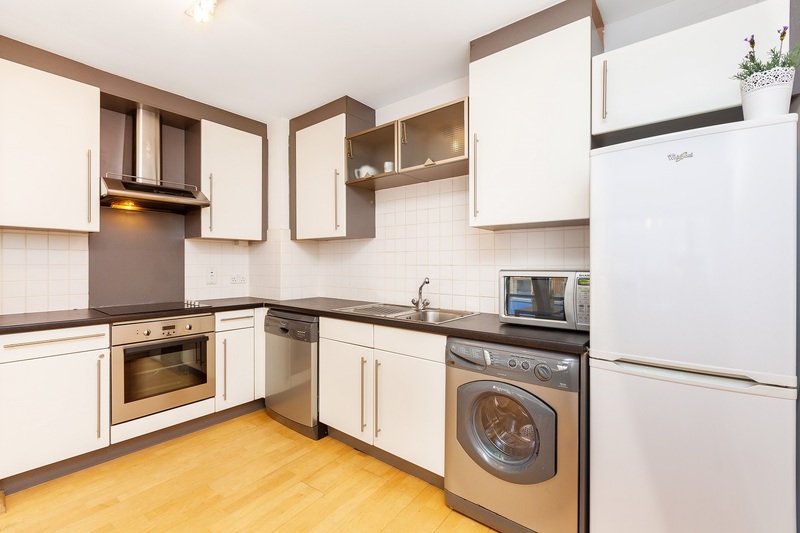 Ample floor and wall mounted units, integrated Zanussi oven, hob and hood, dishwasher, washer/dryer, fridge/freezer, tiled splashback. 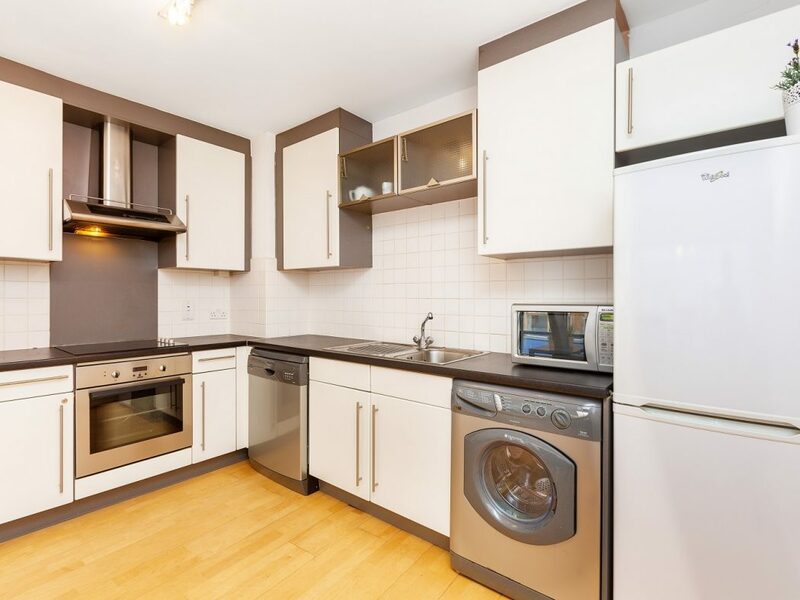 Double with built in wardrobe and solid wood flooring. 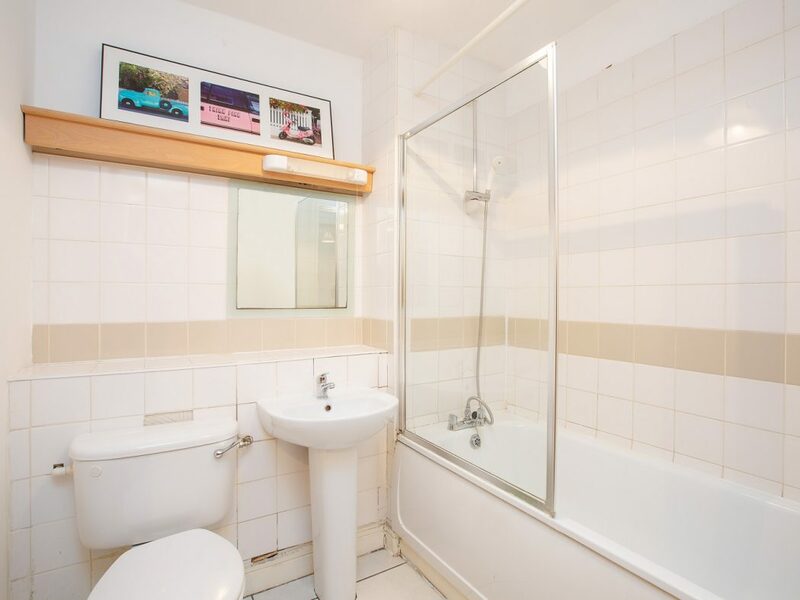 Three piece white suite with shower attachment, fitted mirror, tiled floor and part tiled walls. Eleanor is a Senior Residential Negotiator. 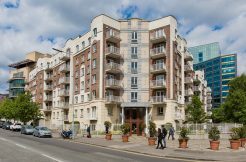 She has more than 20 years’ experience of advising clients on residential property transactions, with a track record that includes the sale of premium London property, international off-plan sales and acquisitions for buyers. Her property career began in London, where she trained with leading agencies and worked across the city’s prime neighbourhoods, and culminated in a senior sales role at Carter Jonas in Mayfair. 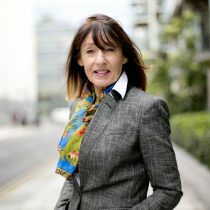 Prior to Joining Owen Reilly, Eleanor worked with Felicity Fox Auctioneers and Ganly Walters (Irish partner to Carter Jonas) in Dublin. 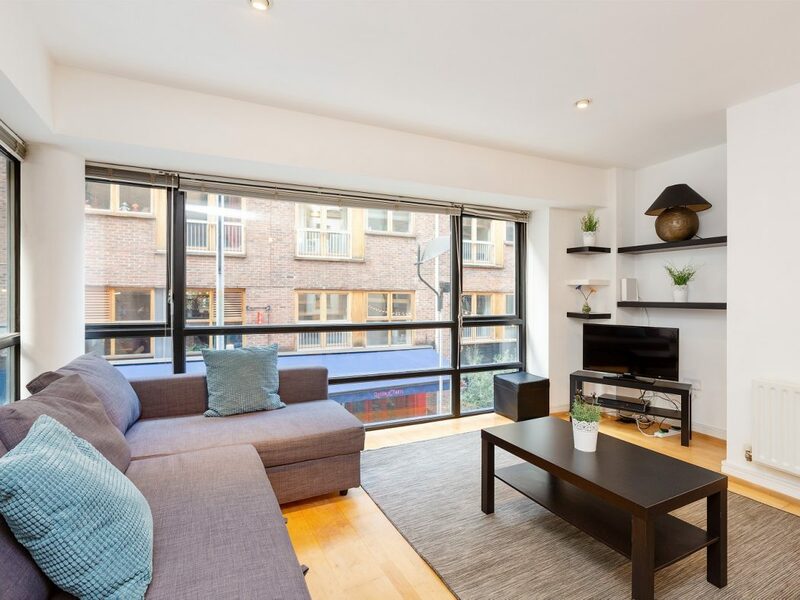 Eleanor emphasises the establishment of lasting, trusting relationships with buyers and sellers, team work, and innovation in client service; she has an enthusiasm for city-centre living and for the city-centre market. From Dublin, Eleanor has a great interest in the arts and is a member of the Irish Georgian Society. Holding the photographic collections of the National Library of Ireland. A dedicated cultural centre for children. Home to music, theatre and dance shows, workshops and exhibitions. 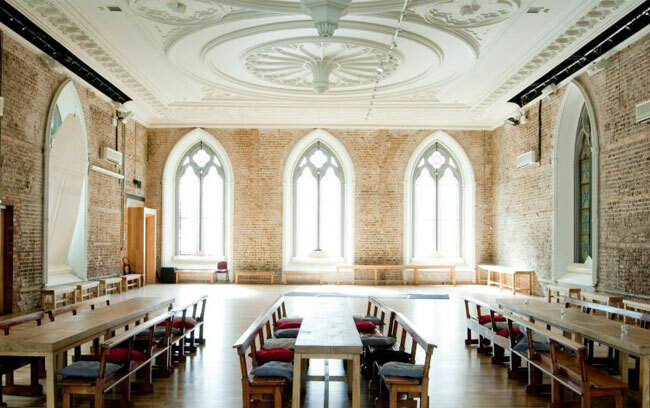 Smock Alley was the first Theatre Royal built in Dublin. John Ogilby opened it in 1662 as part of the Restoration of the British monarchy and King Charles II in 1660, along with the London’s Drury Lane (1662) and the Lincoln’s Inn Fields (1661). It was the first custom-built theatre in the city and still remains in substantially the same form, making it one of the most important sites in European theatre history. Smock Alley Temple Bar Theatre was the first theatre outside London to receive the title of Theatre Royal, but because it had been built on land reclaimed from the Liffey, the building was unstable and the gallery collapsed twice; it was rebuilt in 1735. In 2012, after a €3.5 million investment, a new theatre opened on the original foundations and with a lot of the original superstructure. The Irish Film Institute, also known as the IFI, is both an arthouse cinema and a national body that supports Irish Film heritage. 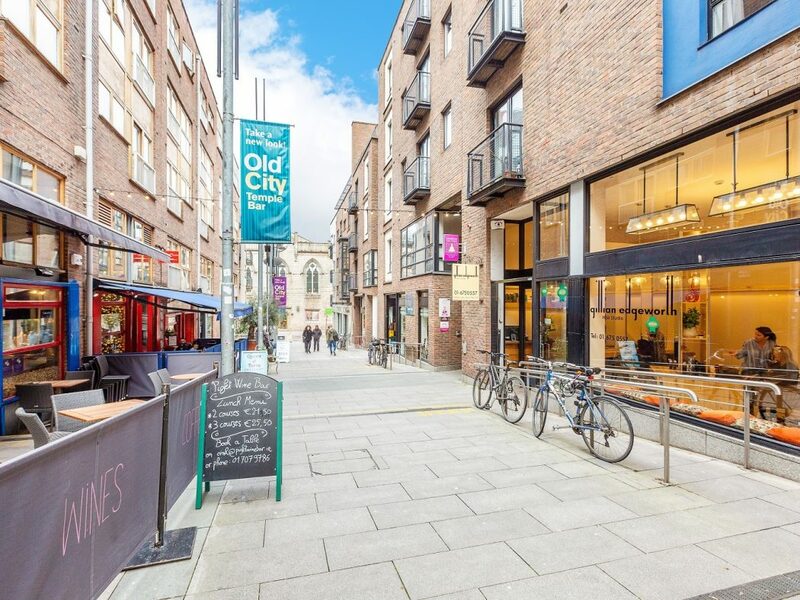 The IFI presents film festivals, retrospectives and curated seasons, along with independent, Irish and foreign language films overlooked by commercial multiplexes at its cinemas in the Temple Bar quarter of Dublin. It maintains an archive of Irish films and provides education in film culture. Industrial pipes and warm wood combine in the decor of this Spanish tapas bar with wide sherry menu. Boutique featuring men's clothes from contemporary global & local designers & a basic, modern cafe.